AKIPRESS.COM - World’s largest winter sports event for children and adults with intellectual disabilities, “Special Olympics World Winter Games Austria 2017” is taking place from March 17 to March 24. As of today, 14 Mongolian participants have won 2 gold, 4 silver and 1 bronze medals, reports Go Go Mongolia. 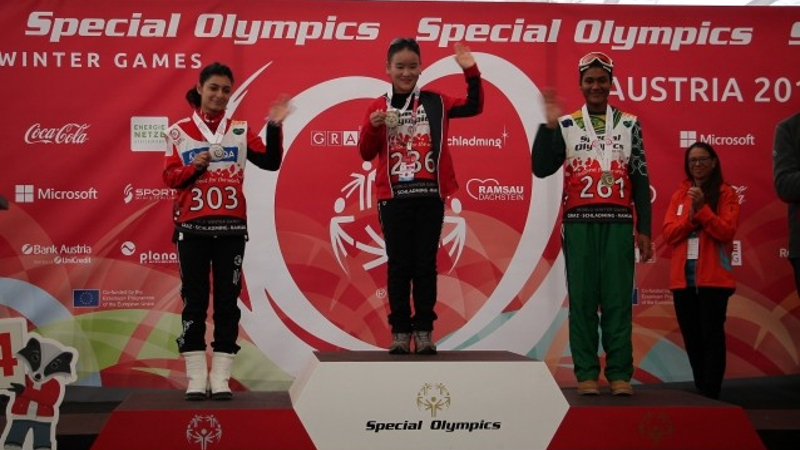 M.Gantumur, the third place winner in Cross Country 50M race, won 100M race in the same category yesterday, March 22 and became the second Mongolian to ever win a gold medal in the Special Olympics. Mongolian first gold medalist in Special Olympics was N.Uyanga, who triumphed over the 50M race for the very first gold and came out second in the 100M race for the silver medal. As for the Snowshoeing Race, B.Oyunbileg secured silver medals in both 200M and 100M races. Meanwhile, S.Temuulen also scooped silver medal in 25M race. Special Olympics World Winter Games take place every two years and involves adults and children with intellectual disabilities who can range from gifted, world-class competitors to average athletes to those with limited physical ability. The athletes are matched up according to their ability and age.